other information N.p. CD MOO 333, 2010. 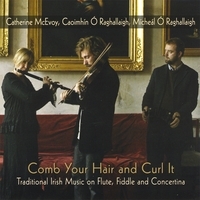 Released July 2010 according to Caoimhín's webpage <http://www.irishmusic.net/comb.php> viewed 23 March 2014, although other websites, including Custy's Music Shop catalog listing viewed 23 March 2014 name the release date as April 2010.